You’ve purchased the wig you fell in love with. The question now is “What do I do with my own hair?”. This all depends on how much hair you have. 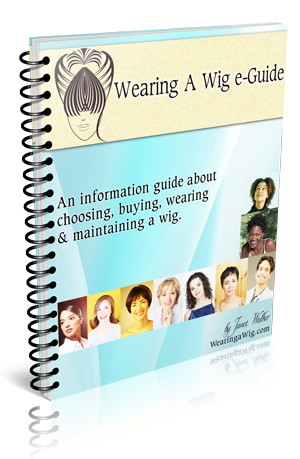 If you have short fine hair then you don’t really need to do anything to it, you may want to wear a wig cap if your hair is very soft, or it’s the first time you are wearing a wig. If you have medium to long hair then there are 2 methods of Securing your Hair. The 1st is called the flat ponytail method and the 2nd is the cornrow method. After you have worn a wig more than once you may find a method unique to you and your needs, don’t be afraid of experiencing with different ways. As you wrap, pin hair in place securely. Then put on your wig. Cornrowing your hair away is a good way of making sure your hair is well secure. All your hair is kept in place until you need to wash it. With cornrows you don’t have to worry about your hair falling out by mistake. Cornrows can work on many hairstyles, as long as your hair is long enough. To use this method your hair would need to be about 3 inches long, if its European or Asian hair, for Afro Caribbean it could be as short as 2 inches even 1 ½ inches depending on the skill of the person cornrowing. 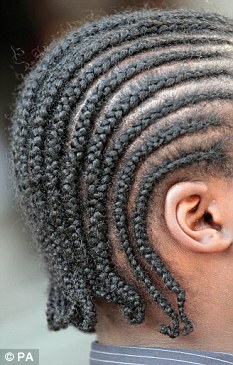 If you go to a hair salon that offers cornrowing services, they will be able to tell you whether your hair is long enough, if your hair is long, you will end up with long plaits after the cornrow finishes. All you need to do is bend up the ends of your plaits and pin them against the cornrow, better yet you can get the hair stylist to do this for you. It could cost from £15 – £35 for straight back cornrows, the cost varies on the following; hair length, stylist experience and hair salon. Your cornrows should last around 3 to 4 weeks, if you cover/protect your cornrows before you go to bed, they can last even longer. Again your stylist will give you all the after care information you will need to help you maintain your cornrows as long as possible. If you wash your hair everyday or a few times a week, then cornrows will not be for you. It would become expensive constantly having cornrows redone. However there is a product which is a foam shampoo called ”Organic Root Stimulator Herbal Cleanse Shampoo”. This allows you to wash your hair without actually taking out your cornrows; you can use this until your cornrows are so messy that they do need to be redone.